There is little doubt that in the 15th century craftsmen had real grievances with merchants, who hired their services, and the local town councils. With differing success they formed associations of their own which sometimes appeared to be so menacing that laws were passed restricting their activities. Notwithstanding these laws, by 1475, the Masons and Wrights of Edinburgh were strong enough to secure a 'Seal of Cause' or Charter from the city of Edinburgh authorities. This created an Incorporation, roughly equivalent to an English Trade Guild, which laid down rules for the governance of the Craft. In 1489, Coopers were included and later other groups of tradesmen joined. These incorporations framed rules, resolved trade differences, dispensed charity and controlled entry to the trade. Such incorporations were not unusual in Scottish Burghs and most of the larger trades and crafts had an incorporation. Examples of such 'incorporated trades' include: Wabsters (weavers), Cordiners (shoemakers), Baxters (bakers), and Hammermen (metal workers). The essential difference between the craft of stone masonry and these other crafts and trades was that stones masons had another level of organisation - the Lodge. Thus we find, in 1491, that the Edinburgh authorities granted the masons the right 'to gett a recreation in the commoun luge'. This shows that masons used the Lodge for something much more than storing their working tools. The existence of Lodges in Scotland is known, therefore, from at least the 15th century but little can be said regarding the activities of masons. It is likely that Lodges were not organised on a rigid, formal, basis but that meetings were called as and when necessary. The reasons why another level of organisation was required raises many interesting questions. It is also why the earliest known masonic records date from this time. 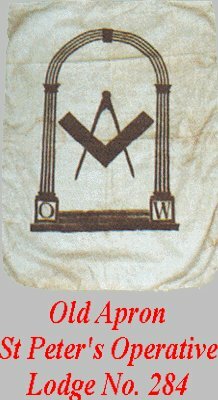 It can safely be said, therefore, that William Schaw was the founding father of modern Freemasonry. In the late 16th and early 17th Centuries important men, who were not Masons to trade, were admitted to Scottish Lodges. Exactly why such men were attracted to Scottish Freemasonry is not known. It may have been simple curiosity. In any event their social position gave Lodges an element of legitimacy and status. Others joined as literacy and education spread throughout the country which assisted Lodges to maintain funds. 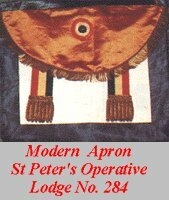 It is often said that Sir Robert Moray was the first known non-operative member of a Lodge. Whilst important, (he was the first to be recorded as being initiated on English soil) his initiation, in 1641, was not the first initiation of a non-stonemason into a Lodge. Others who preceded him probably include: William Schaw himself, and his assistant, James Boswell of Auchinleck. They are believed to have been initiated in 1598.